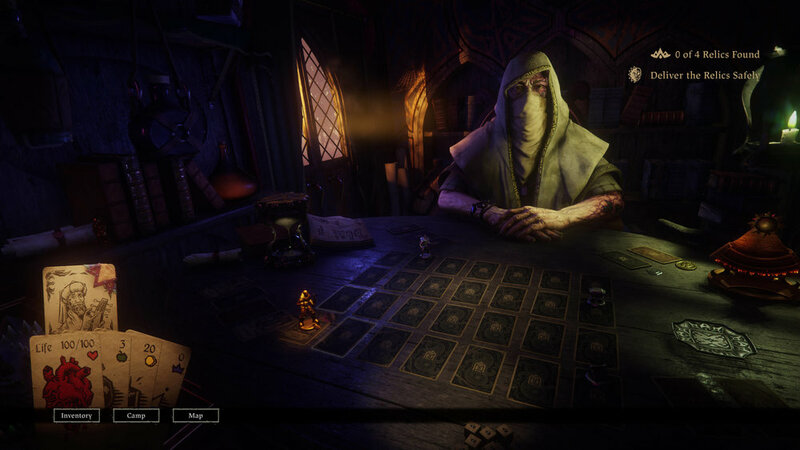 Brisbane Byte was lucky enough to receive a preview code to try out Hand of Fate 2 before it’s launch on PC, PS4 and Xbox One on November 7th. We’re only allowed to talk about the first couple of hours in the game, but if you were a fan of the first installment of the now-franchise, you’re in for a treat! 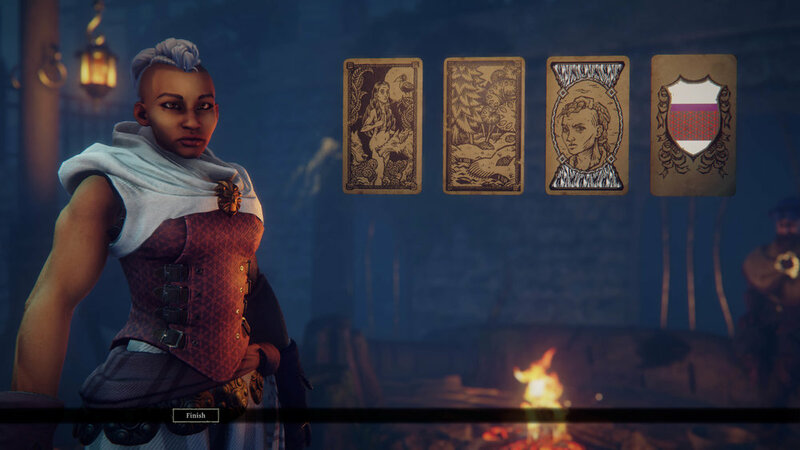 The first thing you’ll notice the moment you load up Hand of Fate 2 is the huge step up in production value. Hand of Fate 1 was by no means a visually unappealing game but it simply doesn’t hold a candle to Hand of Fate 2. Everything seems a little sharper, textures are more refined, and as weird as it sounds the loading screen heading into battles might just be the most beautiful part. There have been a ton of quality of life improvements over the game’s predecessor. The UI has had a massive overhaul with a much cleaner result. Enemy alerts during fights convey the message of what’s about to happen in a clearer context and the presentation of text in the overworld has had enough subtle changes to add up to a more modern look. The overworld map is no longer a chest of cards with a boss at the end of each one. There is now a 3D table with almost two dozen challenges to complete that reveal themselves as you travel through the world. Perhaps one of the most welcome changes is the new player customisation feature. 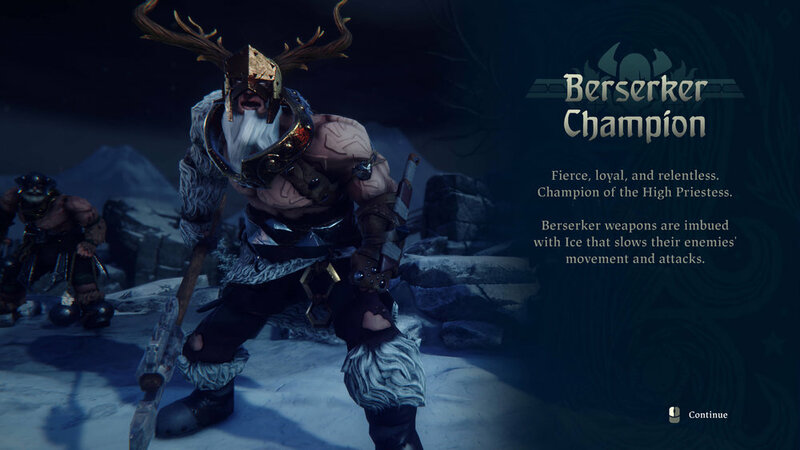 You can choose to play as a male or female character. There are four ethnicities, 5 hair styles per gender, and 4 clothing colour palettes. That’s a total of 160 possible player combinations! All considered, my time with the game after these few short hours has been joyous to say the least. I haven’t even had a chance to dig into the companion system yet, so I look forward to seeing how that ties into the storyline. 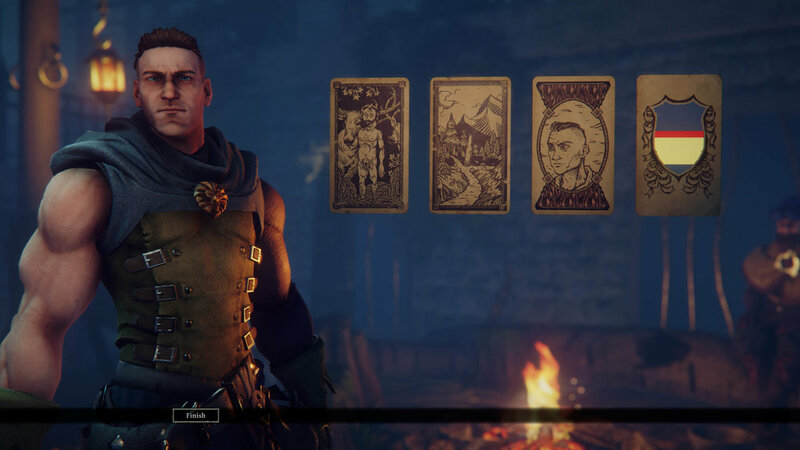 If you’re still reading this then I don’t need to tell you to buy Hand of Fate 2 when it comes out on November 7th because you’re already going to. You won’t be disappointed.